Comfort, calmness, joy, gentleness, levity, hope, faith, relaxation, smiles, caresses, closeness, embraces, acceptance, forgiveness, rest, leisure, end, sunrise, rainbow, freshness, music, medicine, expectation, responses, solutions. What does relief mean to you? 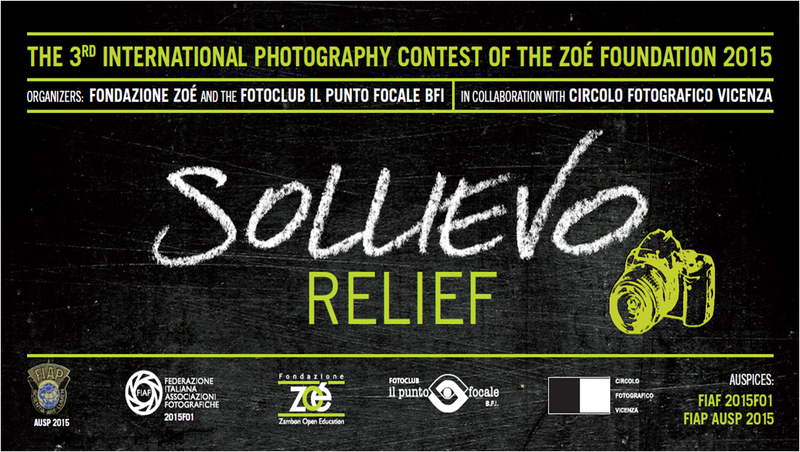 All of these are SOLLIEVO – RELIEF, the selected theme for the 3rd International Photography Contest of the Zoé Foundation. After the success of the first and the second editions, the initiative is back by popular demand with a new and stimulating subject to capture in a click. The professionals and amateur photographers around the world will be able to challenge themselves and express their idea of relief, representing it through pictures. Up to 4 photos may be submitted per author. Image requirements: a maximum of 1600 pixels in size for its largest side and 2MB max.